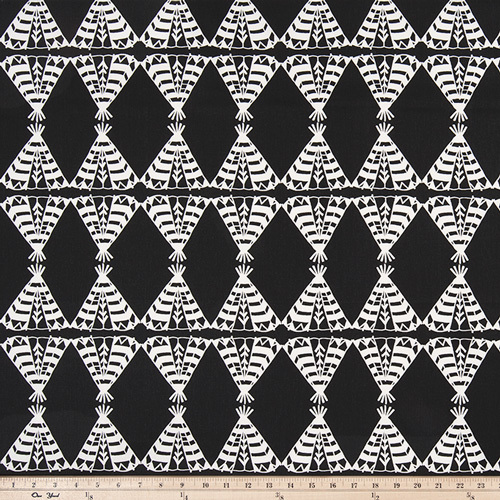 Bring a little chic-chic-boom into your interior with Premier Prints Pow Wow Black White twill fabric. This unique and inspiring tee-pee motif adds a little playfulness to your room. We love it featured in a neutral interior alongside blonde timbers and a cacophony of textures. Perfect as accent pillows, throw cushions, duvet covers and table linen accessories. Colors include black and white.